Sheffield Theatres has announced three new productions set to take the stage this year: Awful Auntie, DUSTY the Musical and The Play That Goes Wrong, with tickets going on general sale on Saturday 20 January at 10am. Following the award-winning production of Gangsta Granny, David Walliams’ Awful Auntie will be at the Lyceum Theatre from Tuesday 12 June – Saturday 16 June. When Stella wakes up three months after a trip to London, only her Aunt Alberta can tell her what has happened – but not everything she says turns out to be true. Expect fights, frights and friendship, with a very large owl, a very small ghost and one very Awful Auntie! The brand new musical DUSTY brings soulful pop hits to the Lyceum from Wednesday 11 July – Saturday 14 July. Based on the authorised biography of Dusty Springfield, this production features favourite songs, including I Only Want to Be with You, Son of a Preacher Man and You Don’t Have to Say You Love Me. 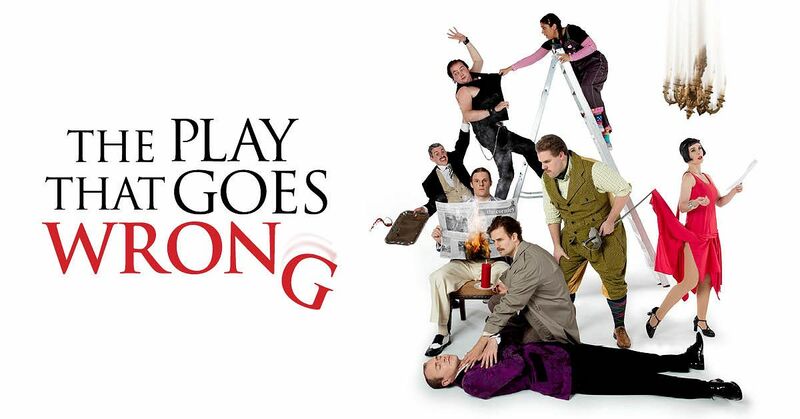 Audiences will be rolling in the aisles as The Play That Goes Wrong returns to the Lyceum from Monday 30 July – Saturday 4 August. The Cornley Polytechnic Drama Society is putting on a 1920s murder mystery, but as the title suggests, everything that can go wrong, does! The accident-prone thespians battle against all odds to make it through to their final curtain call – with hilarious consequences. Tickets can be booked by calling the Box Office on 0114 249 6000 or visiting sheffieldtheatres.co.uk. Did you know you can spend the Sheffield Gift Card at Sheffield Theatres? 70 shops, salons, theatres, cinemas, bars and restaurants have signed up to the card, which can be purchased online at www.sheffieldgiftcard.co.uk and loaded with between £5 and £200. The gift card is the first of its kind for a major city in England, and will be able to buy all year round.